How Should You Choose a Color Laser Printer? 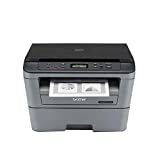 While choosing a printer, you should decide whether you want to opt for a multi-function device, which functions as a scanner and a copier as well as a printer. 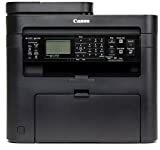 Also, between an inkjet and a laser, a laser is much suitable for offices because they produce sharp, clear printouts quickly and economically. After going through thousands of color laser printer reviews, we found out that they have become quite affordable and are valued by home users who look for compactness, quality, and ease of use. Read on to get a few pointers to help you buy the best color laser printer. What Should You Consider Before Buying a Color Laser Printer? Check the number of papers to be handled: Make sure that you load a sufficient number of pages into the printer. A business laser printer can hold 250 sheets in a tray. For busier offices, it is always better to get a color laser printer which can accommodate 500 to 1000 pages. Opt for handling duplexing: A good color laser printer will have the option of double-sided printing, or “duplexing”. Some models have the feature of manual duplexing, while some are automated. Check network options: This is crucial for color laser printers, as a printer is shared by several devices in your typical office. Office models either have wired networking, an Ethernet port, or a solid Wi-Fi connection. Check for mobile printing: In a busy corporate office, users want the flexibility of printing from a mobile device. You can look for apps that can sync with Andriod, iOS, or other mobile operating systems, for either direct printing, via email, or through third-party technology.